For more information on any of our programs, please contact Public Works at (727) 841-4536. Litter is a problem nationwide and a major problem in many Florida communities. It is the result of careless attitudes by residents and visitors regarding waste handling and disposal. They feel no sense of ownership, even though areas such as parks and benches are public property. They believe someone else (a park maintenance or highway worker) will pick up after them. Litter has already been accumulated. Litter makes our roads unsightly, unhealthy, and costs taxpayers thousands of dollars each year for litter removal along New Port Richey roadways-money and time that could be utilized for more important community services. Through their efforts, adopting groups show pride and a sense of ownership in their communities and demonstrate local stewardship, while increasing public awareness about litter control. Clean communities are better places to live and work and have a better chance of attracting visitors and new businesses than those where litter is common, and less tax dollars are needed for trash handling. Commit to removing litter at least four times a year along designated City roadway. Conduct two safety meetings a year. Dedicate two years to the program. The City of New Port Richey’s Public Works Department provide groups with safety signs, safety vests, trash bags, and trash removal when the clean-up is completed. In exchange for this valuable assistance, the groups are publicly recognized with signage placed along the adopted section of roadway. Memorial Bench Program allows donators to select their choice of park and location within a park for their bench to be placed. Memorial benches serve to create a space in which family members and visitors may rest and reflect on the life of a loved one or the memory of a celebrated occasion. The City of New Port Richey’s Memorial Bench Program is designed to offer residents the opportunity to honor loved ones and cherished memories with a standing tribute. The City of New Port Richey is the proud sponsor of the Memorial Bench Program. This program allows groups and individuals to donate a bench to memorialize or celebrate a friend, family member or co-worker by placing a bench in one of the City’s beautiful parks. This historical dedication provides a lasting remembrance and enhances the meaning of the bench. Your donation of a bench helps beautify our community, creates a sense of ownership and provides a meaningful amenity that thousands of users of the great outdoors can enjoy and appreciate as time goes by. Please allow 10 to 12 weeks for delivery of materials. At that time you will be contacted by Public Works staff regarding bench location. The bench with plaque will be installed on a concrete slab by Public Works staff. If desired a dedication ceremony can be held. Applications can by picked up from the Public Works Department or downloaded. The Memorial Tree Program allows the choice of the tree and customized plaque to be planted in any New Port Richey City Park. The Grounds Division of Public Works is responsible for watering and maintaining the tree. The planting of memorial trees is an age old tradition throughout the world. Trees have always been recognized as Nature’s best gift to humankind. The planting of trees has always symbolized life, growth and hope for the future. The gift of a tree can be given in memory or in honor of a life well lived and as a symbol of everlasting affection. Donating a tree is also a wonderful way to leave a lasting, living thing for all to enjoy. Your consideration in providing a living tree memorial honoring someone special is greatly appreciated. Select a tree from the attached form that details trees available, size, height, spread, caliper, the cost of tree, processing fee and the total cost. Select Black or Bronze memorial plaque that will be engraved. A model of the design style of the plaque is attached. Please allow 10 to 12 weeks for delivery of materials. At that time you will be contacted by Public Works staff regarding planting location date and time. The tree will be planted and the plaque placed by Public Works staff. If desired a dedication ceremony can be held. Applications can by picked up from the Public Works Department or downloadedopens in a new window. Would you like to honor a veteran for their service? Your honorary veteran may be alive or deceased for this recognition. Bricks may be purchased for $50.00 and will be placed around the walk at Orange Lake. You may fill out the Veteran’s Lane Brick Order Form and mail to City of New Port Richey Public Works Department at 6132 Pine Hill Road, Port Richey, FL 34668. Turnaround time will take approximately 4-6 weeks to be ordered, received and installed. For more information, please contact Public Works at (727) 841-4536. 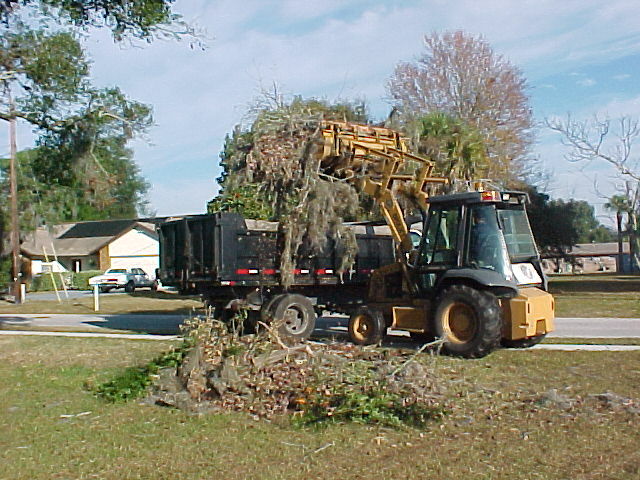 The City of New Port Richey Streets Division picks up yard debris throughout the City from residents. Debris is to be placed on the right of way, as close to the street as possible without going over the roadway or sidewalk. Yard Debris may also be placed in the alley. Do not tie or bag the debris, as we will not pick it up. Should your pile have anything other than yard debris in its pile, it will be red-tagged to advise why it has not been picked up. Once the issue has been corrected, the pile will be picked up on its NEXT regular pick up. 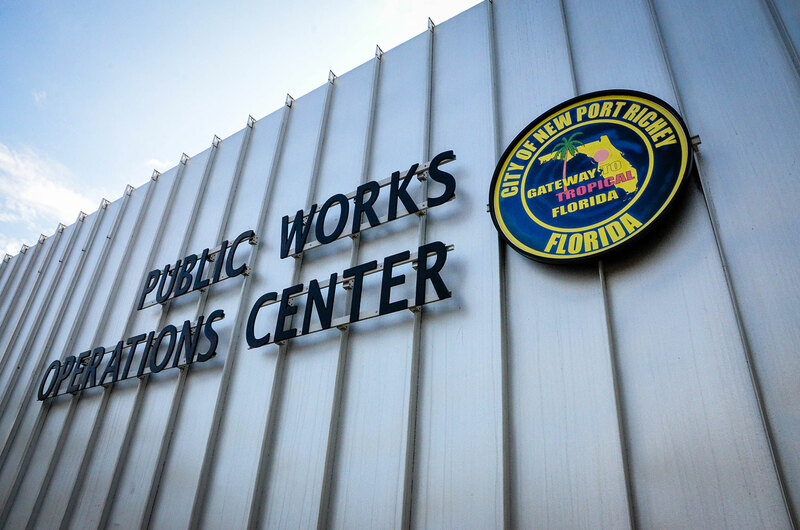 The City of New Port Richey and the Southwest Florida Water Management District have agreed on a Cooperative Funding Initiative for a Toilet Rebate Program for City of New Port Richey utility customers.